Read the latest CRM software reviews to learn how Zendesk has progressed over time, for reviews and reports on specific capabilities, and to gain insights to help you evaluate Zendesk. 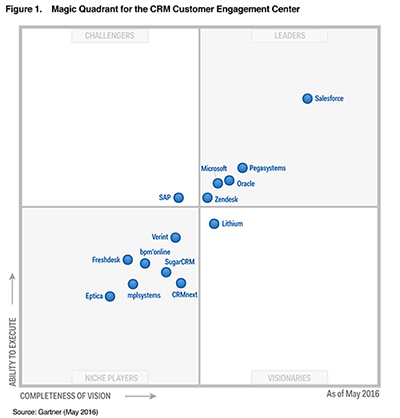 Zendesk is now placed in the Leaders quadrant of the 2016 Magic Quadrant for the CRM Customer Engagement Center, based on its completeness of vision and ability to execute. 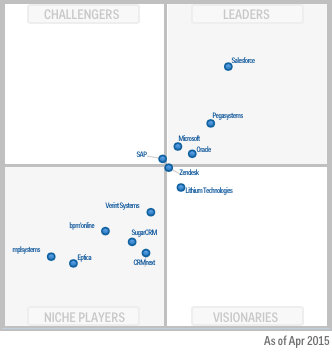 In the 2015 Magic Quadrant, Gartner moved Zendesk into the Visionary quadrant. We'd like to thank our 25,000 customers for that move, which we believe highlights Zendesk as an innovative alternative to some of the traditional vendors. 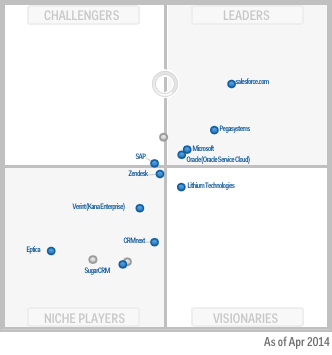 In this Gartner report, Zendesk was added for the first time. In the category of Niche Players, Zendesk's initial placement near the quadrant's crosshairs suggested Zendesk's potential to move into the same quadrant as much larger competitors within the near term. These graphics were published by Gartner, Inc. as part of a larger research document and should be evaluated in the context of the entire document. The Gartner documents are available upon request from Zendesk.